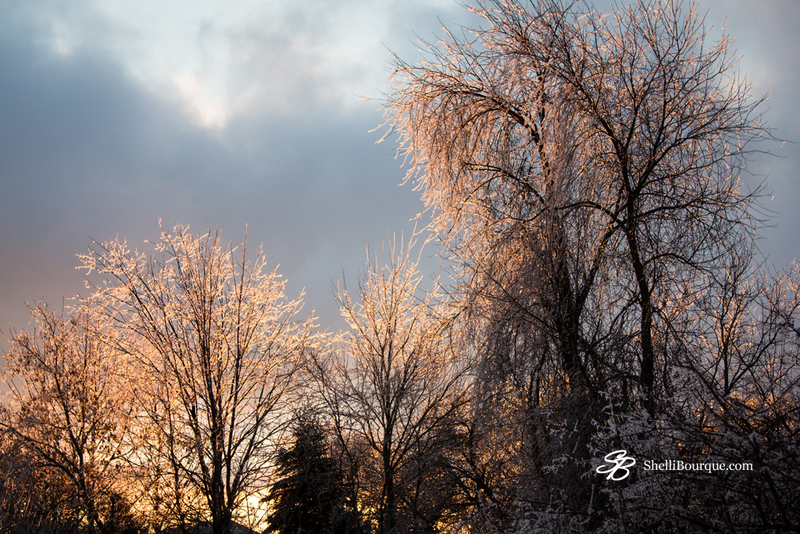 What joy it was to behold the glow of sunrise reflecting off ice-laden trees a couple of weeks ago. Now we are awaiting a heavy snowfall with six to twelve inches of snow predicted. It’s surely winter in Michigan and I am enjoying the beauty of the season. Yes, it is cold. Bitterly so. But snuggled warm in my home, it is hard to complain. I am so thankful. The fact of the matter is that the transforming work of grace is more of a mundane process than it is a series of a few dramatic events. Personal heart-and-life change is always a process. And where does that process take place? It takes place where you and I live everyday. And where do we live? Well, we all have the same address. Our lives don’t careen from big moment to big moment. No, we all live in the utterly mundane. Most of us won’t be written up in history books. Most of us only make three or four momentous decisions in our lives, and several decades after we die, the people we leave behind will struggle to remember our lives at all. You and I live in little moments, and if God doesn’t rule our little moments and doesn’t work to recreate us in the middle of them, then there is no hope for us, because that is where you and I live. May God rule in the mundane moments of your day today. Have a blessed weekend, friends. An ordinary girl living by the grace of life in Christ. Adoring wife and mom. Lover of quiet places and uncluttered spaces. Beauty seeker and image maker.